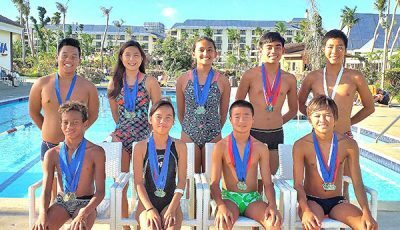 It’s business as usual for Tsunami Swimming Center Saipan, as its members continue to train and are hoping to compete in the Guam Invitational Meet early next year. 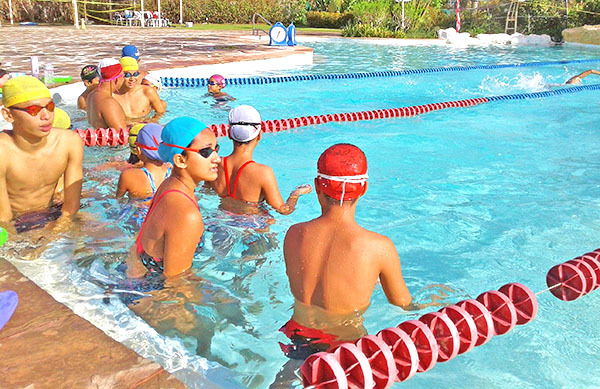 Not even the aftermath of Super Typhoon Yutu and the closure of the Kan Pacific Swimming Pool could prevent Tsunami Saipan swimmers from having regular training sessions for the 2018-2019 season. 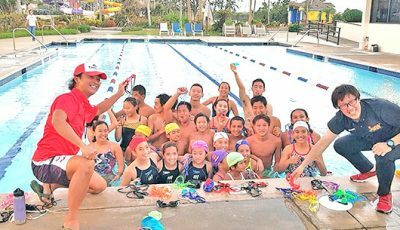 Head coach Hiro Kimura said their swimmers have been practicing daily since Nov. 10 at a pool in one of the hotels on Saipan. 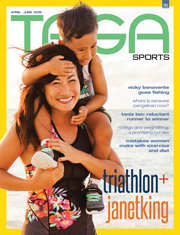 Each training session is held for two hours and a half and despite the limited time and the not so “ideal” pool condition, Tsunami Saipan swimmers are thriving, according to Kimura. “We may be practicing in the not so real swimming pool, but we work hard every practice. We are swimming every day and all swimmers are fine. As for the results of the training sessions, every swimmer’s level is improving,” Kimura said. 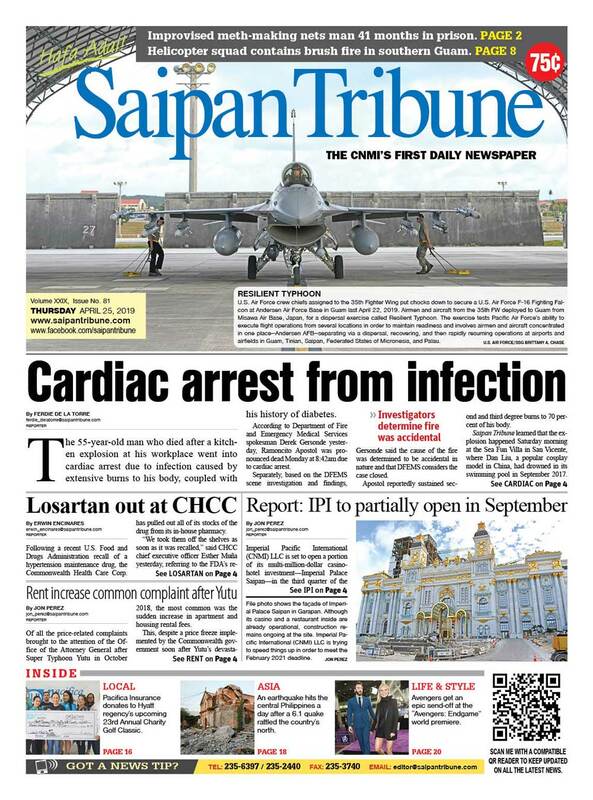 For this season, Tsunami Saipan has nearly 60 members in its stable and they are divided into five groups. The “sensyu” is the top class with 15 members and has Nelson Batallones and Aika Watanabe as captain and vice, respectively. The “jyun-sensyu” is made up of 10 swimmers with BB level times, while “ikusei-1” and “ikusei-2 have a total of 16 members that work on four strokes and have completed the 200m individual medley race. Rounding out Tsunami Saipan’s roster for the season are 16 members of the beginners group. Kimura is planning to have more than half of its members compete in the Guam Invitational Meet that will be hosted by Guam Swimming Federation on Jan. 12. 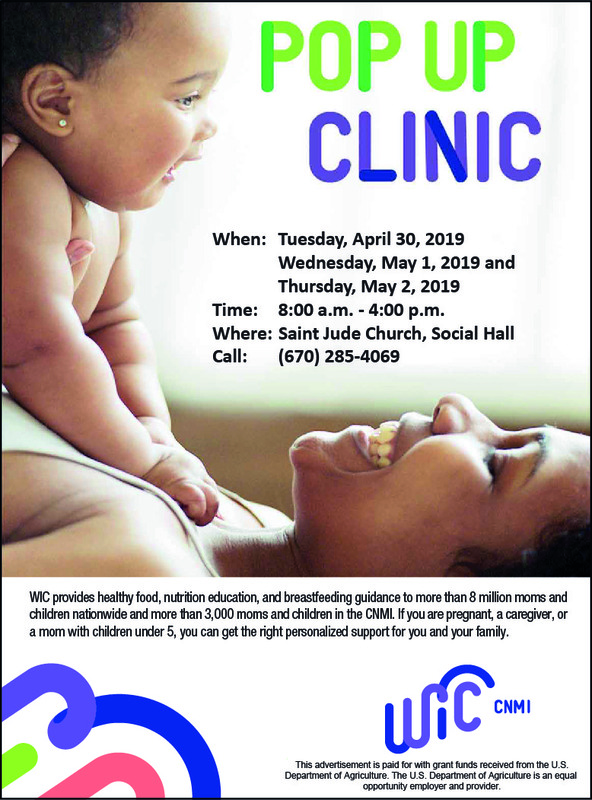 “We are planning to bring 30 in the Guam meet and we are looking forward to getting good results in the competition,” Kimura said.